Boston Reports Over 100 Inches, 2 1/2 More Than Normal, With Three More Weeks Of Winter To Go. If you are a senior skier from the West, you are probably wondering what’s going on with the snow. Our correspondent in Utah report skiers taking two or three runs on ice-covered, snow-deprived slopes and calling it a day. We’ve heard of areas closed in Montana due to “dirt”. On the other hand, we Easterners are luxuriating in historically epic piles and piles of the stuff. It’s fun to look back on NOAA’s prediction for the Winter of 2014-15. Notice they had it kind of right in the West, major wrong in the East. 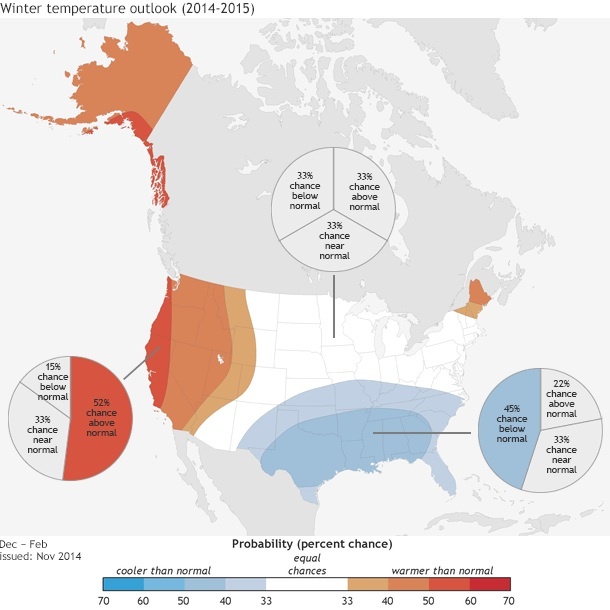 NOAA Winter 2014-15 Prediction shows warm in the West and the East. To be sure, there is good snow everywhere in the Northeast, from the Poconos to Quebec. 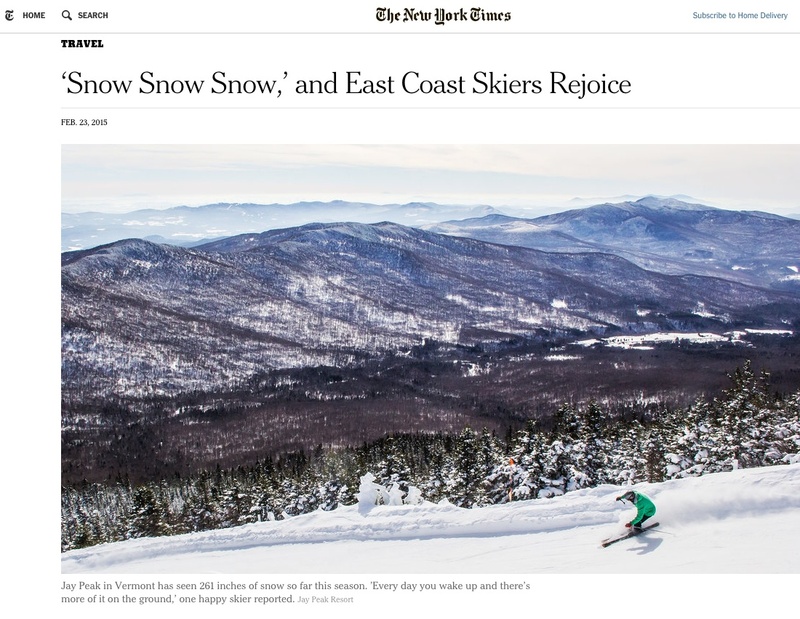 Here’s an article by New York Times travel writer John O’Connor who reports on ecstatic conditions in New England. Bottom Line: It may be that if Western skiers want to do some decent skiing, they should plan coming East right now.